All things Energy Matters from 2013 – press releases, coverage elsewhere, industry commentary, internal company news and announcements. SunLock has produced and delivered 5 kilometres of solar panel rail for a custom order in just 9 days. Read more. Energy Matters is donating solar power to 1 Million Women. Read more. Energy Matters is one of the founding signatories of a new solar PV retailer Code of Conduct. Read more. Many Australians will tolerate furnace-like conditions in their home this summer even if they have an air-conditioner. Read more. Member solar installers are urged to have their say in this year’s crucial Clean Energy Council (CEC) board elections. Read more. In September, Alex Chong, a Technical Sales Consultant at Apollo Energy (Energy Matters’ sister company) travelled to Papua New Guinea to install small solar panel systems on the rooftops of clinics. Read more. Energy Matters’ recent association with Enviroweek has resulted in two schools soon to receive fully installed 3kW solar power systems; donated by the company. Read more. With the manufacture of so many items now outsourced overseas, it’s always refreshing to see a truly Australian solar product on the market – products such as the family of SunLock mounting system components. Read more. 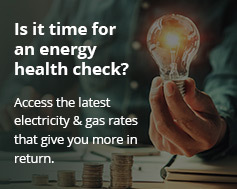 While Energy Matters supports the Energy Supply Association of Australia (ESAA) in calling for reform in how consumers pay for electricity networks; the company points out solar is not part of the current problems as the ESAA suggests – it is very much part of the solution.. Read more. Energy Matters outlines the reasons why west and east/west facing solar installations are no longer scorned. Read more. Energy Matters has signed a Memorandum Of Understanding (MOU) with Daqo New Energy Corporation for supply of 10MW of Daqo solar panels and for Energy Matters to become the exclusive distributor for Daqo products in Australia and New Zealand. Read more. Solar cheaper than a daily cup of coffee? Energy Matters was featured on A Current Affair. Read more. Developed by EcoGeneration and sponsored by SunLock; an Australian-made family of solar panel mounting products designed by Energy Matters’ sister company, Apollo Energy, The Australian Solar Mounting Systems Guide underlines the importance of a solid base upon which to install solar panels. Read more. A 3kW solar power system installed by Energy Matters costs less than a daily coffee under the company’s Save As You Go payment plan. Read more. Inferior solar panels are being sold to unsuspecting Australians, with the cost in lost energy production calculated for the first time at $3,261* per household. Read more. Solar Citizens, an initiative of grassroots group100% Renewable, is receiving a helping hand in its crucial work from Energy Matters. Read more. An open day for Port Macquarie Library’s solar power system will be held on Friday 31st May 2013. Read more. A lucky AgFest Field Days 2013 attendee will soon have a free Energy Matters solar power system installed on his rooftop. Read more. Energy Matters is starting construction of a 290kW commercial solar power system for foodservice giant, Bidvest. The project will be one of Australia’s largest purely privately funded rooftop solar arrays. Read more. Julie Woods of Katamatite in Victoria recently donated an Energy Matters solar power system to her struggling next door neighbour who is fighting cancer and multiple sclerosis. Read more. Energy Matters is now providing the opportunity for households across the nation to have a quality solar panel system professionally installed without having to pay anything up-front. Read more. Rooftop solar panel systems across Australia will generate many hundreds of millions of dollars worth of electricity at retail value over the next 12 months. Read more. Energy Matters led the pack for commercial solar power system installations between 20-100kW capacity installed in the first quarter of this calendar year. Read more. Energy Matter has announced a commercial solar leasing program offering South Australian businesses the opportunity to install a solar power system with zero up front costs. Read more. Energy Matters has contributed to the development of the Clean Energy Council’s Code of Conduct for PV retailers. Read more. Energy Matters has announced a formal partnership with Port Macquarie’s Wauchope Solar to provide businesses and residents in New South Wales’ Mid North Coast region with expert solar installation services. Read more. Energy Matters has announced it has become the first member of Empower Renewable Group. Read more. Energy Matters and Ullrich Aluminium will be holding a solar open day at Ullrich’s Pooraka, South Australia distribution centre on March 18. Read more. Energy Matters has launched a competition that will see the winner have their power bills paid for a year. Read more. A woman from the NSW country town of Tamworth has married an Energy Matters solar panel in protest of the shocking treatment she received from her electricity company. Read more. The opening of Energy Matters’ Sydney branch reflects the company’s rapid growth in recent years and its renewed confidence in the NSW solar sector. Read more. National solar provider Energy Matters is supporting students from the University of Wollongong in their participation in Solar Decathlon China 2013. Read more. Energy Matters and its sister company Apollo Energy sold the third highest number of REC modules in the world last year; only behind a provider in Germany and another in the USA. Read more. Solar energy provider Energy Matters is offering advice to help Australians protect themselves from electricity bill shocks resulting from excessive power consumption during heatwaves. Read more.